Liverpool Homeless Football Club is moving into its 12th year of using football as a tool to reach societies most marginalised people. It’s a fantastic way to engage with new individuals, be part of a team, but ultimately has the potential to open the door to new horizons and reach your personal goal whatever that may be. The League over the years has proven to be very efficacious but also provide a safe and positive atmosphere, while at the same time raising awareness on many different issues. 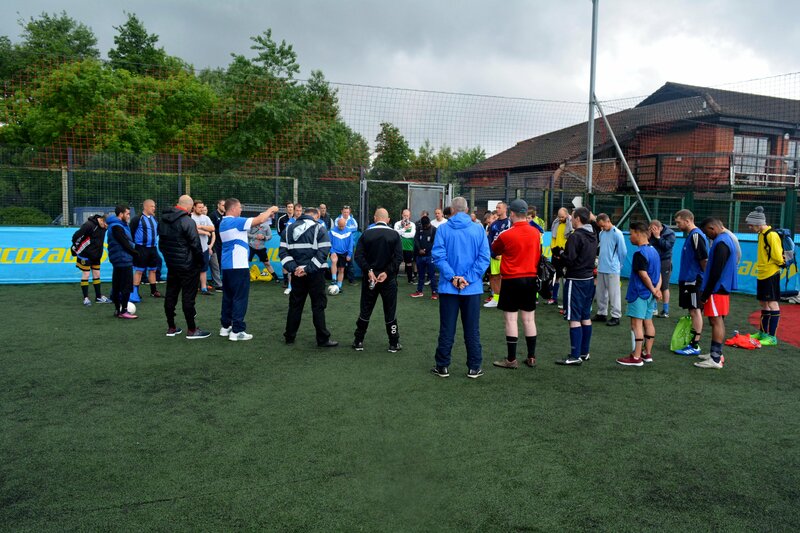 The monthly league match days are set up to be fun, they also give people a chance to come together chat, laugh and play some football and receive free helpful health information. Oh, and when all that is done have some food be it a burger, hotdog or a delicious chicken wrap. Tea, coffee and water are provided throughout the day. THIS YEAR THE LEAGUE BEGINS ON TUESDAY MARCH 26TH, 2019 WITH THE LAST DAY AND PRESENTATION ON OCTOBER 29TH, 2019. VENUE: THE POWER LEAGUE – 2 Whittle Street, Kirkdale, Liverpool, L5 2SQ. Football is a universal language as we all know, Football doesn’t care what issues you may have or where you are from. Football has a proven track record of breaking down barriers, also tackling issues like loneliness and isolation, it also improves your health and wellbeing and has been knowing to improve confidence which transitions into other parts of your life to allow you to get things done. AUGUST 27TH SUICIDE AWARENESS – PLACE YOUR HAND OVER YOUR HEART, CAN YOU FEEL IT? THAT IS CALLED PURPOSE. YOU’RE ALIVE FOR A REASON SO DON’T EVER GIVE UP. A Liverpool Charity to help the homeless through sport.